Duchess of Cambridge is back to royal duty after suffering from acute morning sickness in her third pregnancy for six week. It was Kate’s first appearance since the announcement that Cambridge couple is expecting their third baby on September 4. Duchess Catherine was in attendance to celebrate the World Mental Health Day. Mental Health is a cause close to the hearts of Royal trio i.e. Prince William, Duchess Kate and Prince Harry. Today two receptions were held to celebrate World Mental Health Day. Earlier in the day both Prince William and Prince Harry attended a reception at St. James Palace to celebrate the impact of Heads together campaign. 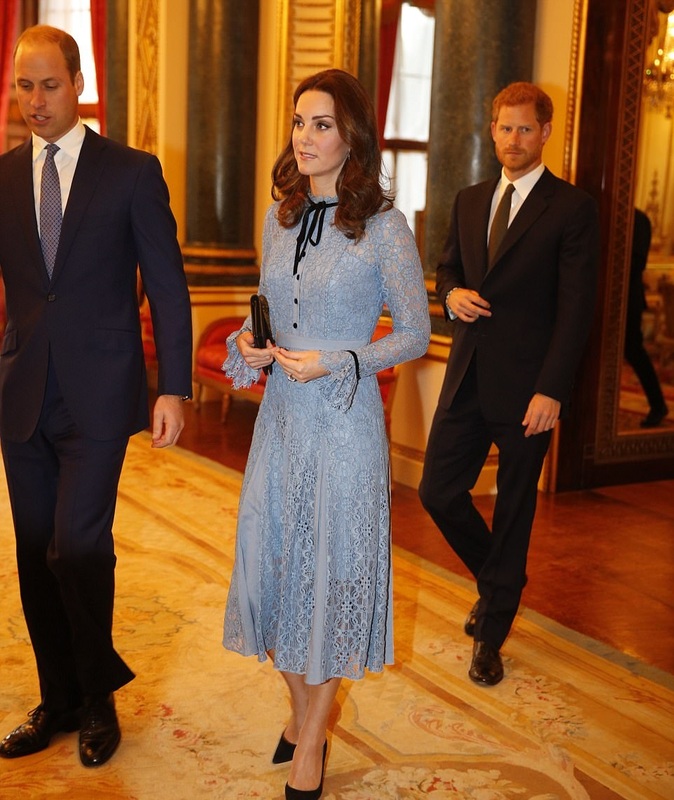 In the evening, Duchess Kate attended second reception held at Buckingham Palace to celebrate contribution of those working in the UK mental health sector with royal brothers. The receptions provide the chance royal trio to thank those who supported their cause in various forms. A video of royals arriving for tonight’s reception from royal reporter Victoria Murphy. Since then a significant efforts were made and the efforts did bring the fruit. Both Princes speak about her late mother Princess Diana of Wales openly first time to encourage others to talk about mental health. Duke and Duchess of Cambridge and Prince Harry visited many charities and institution to raise awareness about the importance of mental wellbeing and motivated people to talk about their grief throughout the year and to smash the stigma around mental health. 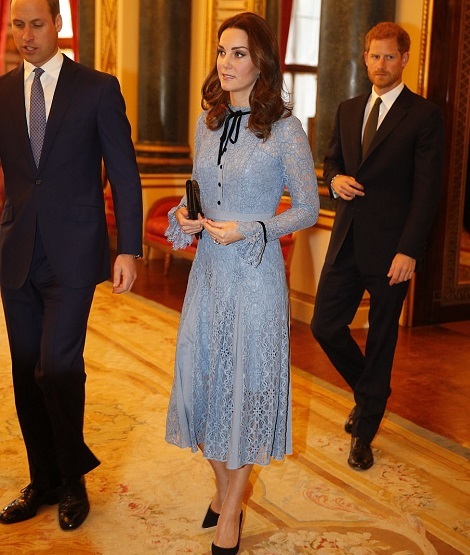 During her speech at the Institute of Contemporary Arts in Carlton House Terrace earlier this year the Duchess said: “We have heard time and time again in the course of our work how talking can help heal the hidden challenges we can’t deal with alone, so the question that William, Harry and I have asked ourselves is, how we can get more people to start talking”. This year Duke and Duchess of Cambridge and Prince Harry were present at the 2017 Virgin Money London Marathon to official start the marathon by pressing the red button on 23 April 2017 for which Heads Together was chosen as the charity of the year. More than 700 runners participated in the marathon. It was fun filled event. Millions of pounds were raised to support the cause since last year. Last week Prince William visited the Data Observatory at Imperial College London, to observe the research project that measures the success of the royal trio’s Heads Together campaign after 14,000 people were studied by YouGov. Duke, who is having busy schedule since turning full-time royal, declared the results fantastic and remarked “I feel like its exam results day”. The study revealed an increased awareness of mental health between February and May this year following the royals’ campaign, with a total of 1.5 million more people talking about the subject. It also noticed an increase of 12% of people talking about their own mental health. 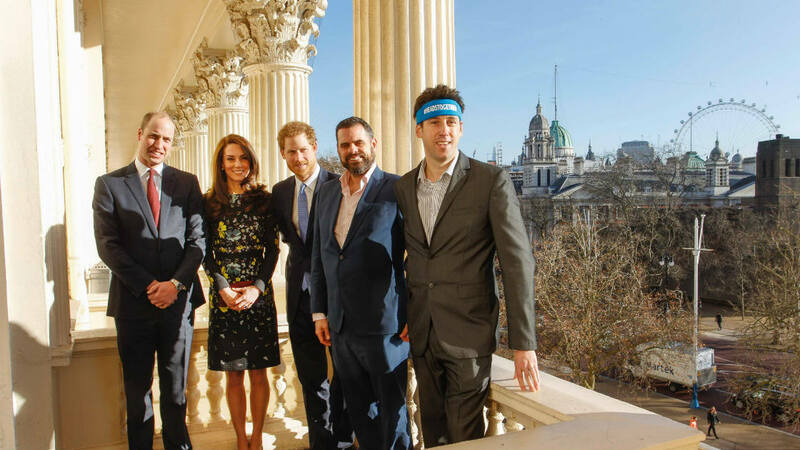 After the great success of phase 1 of Mental Health campaign, it was announced by Kensington Palace that the Royal Foundation of the Duke and Duchess of Cambridge and Prince Harry is investing £2 million to establish a new start-up for digital mental health innovation, which will develop new digital tools to help people have conversations about mental health. It is the largest single grant from the Foundation since it began in 2011. Working with Heads together partners, The Foundation will also invest in programmes in schools, workplaces, and the defence community. The Phase 2 of this campaign will be led by will be led by CEO Victoria Hornby and a board made up of leading technology experts. The start-up will prioritise tools that could be beneficial to young people particularly who are more likely to seek advice and help online and on their phones. 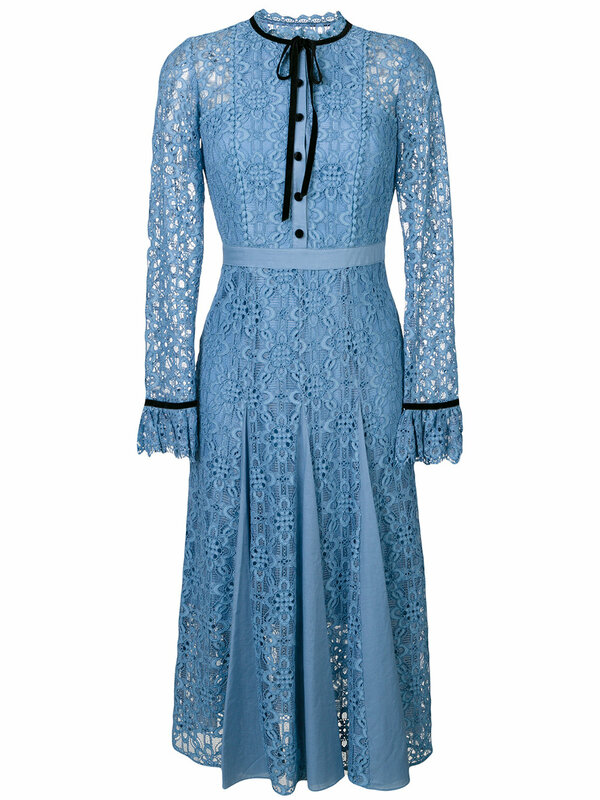 For tonight’s reception, Duchess Kate chose a very regal and poised Temperley London’s ‘Eclipse’ Lace Dress from label’s Autumn 2017 collection in Iris hue. 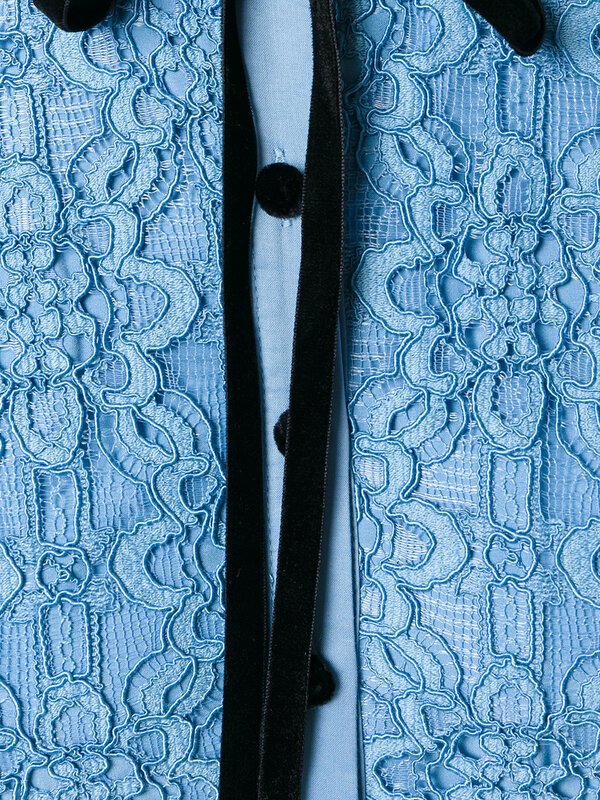 The Elizabethan influenced the ‘Eclipse’ Lace Collar Dress is shaped into a sleek A-line silhouette. 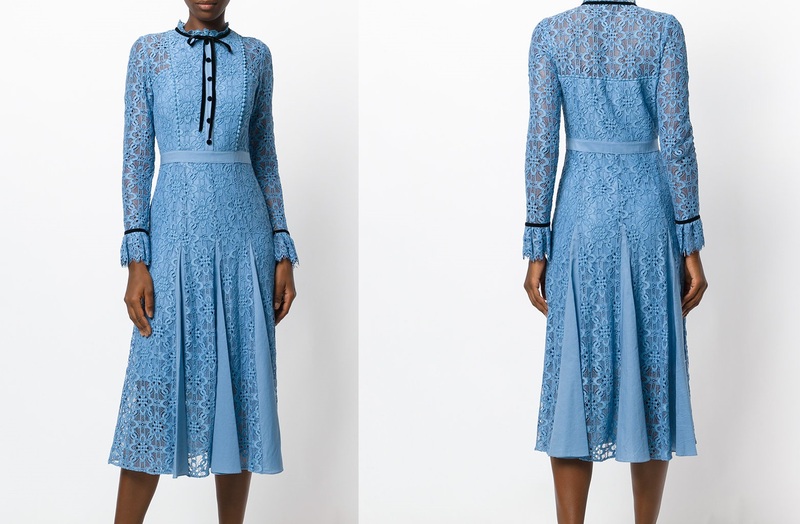 Cut from contemporary corded lace the dress features scalloped edges, frilled sleeves and neckline, and a contrast velvet neck tie. 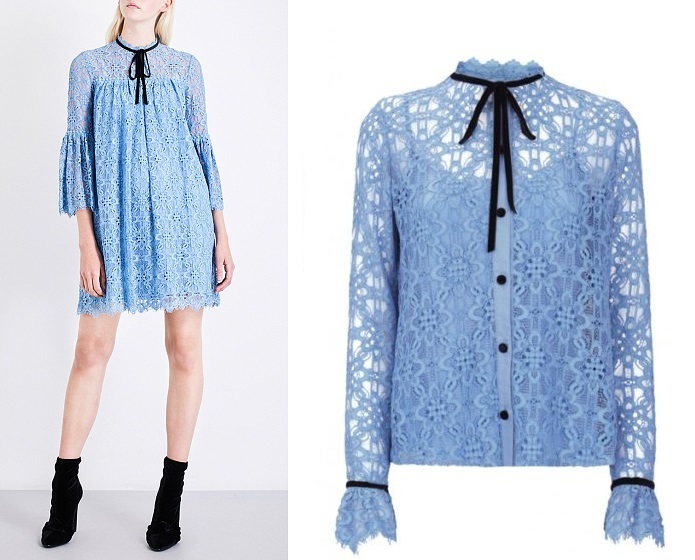 A closer look at the Iris hue dress. 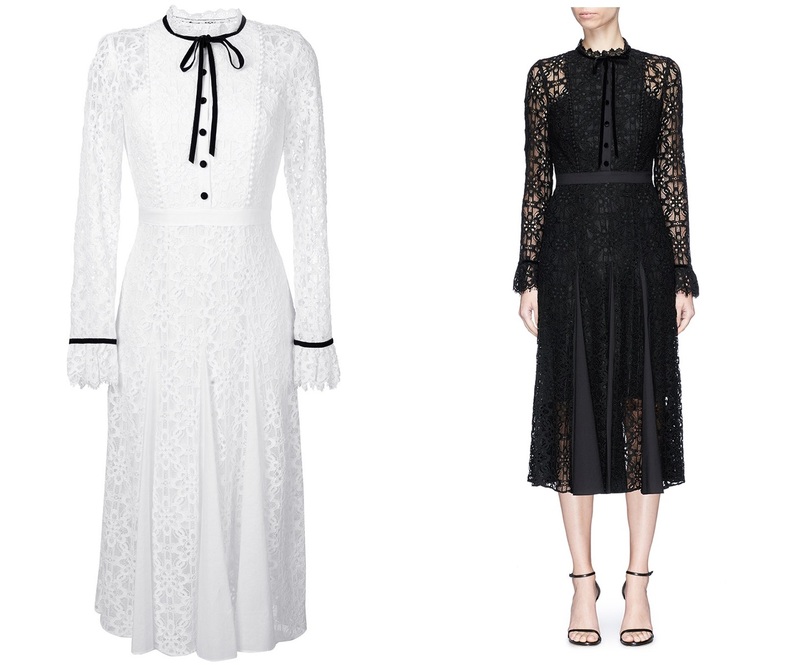 As the Kate-effect stroked again originally £795 dress is already sold out but available in Black and white colourways. The Iris hue is also available in short dress and a shirt. 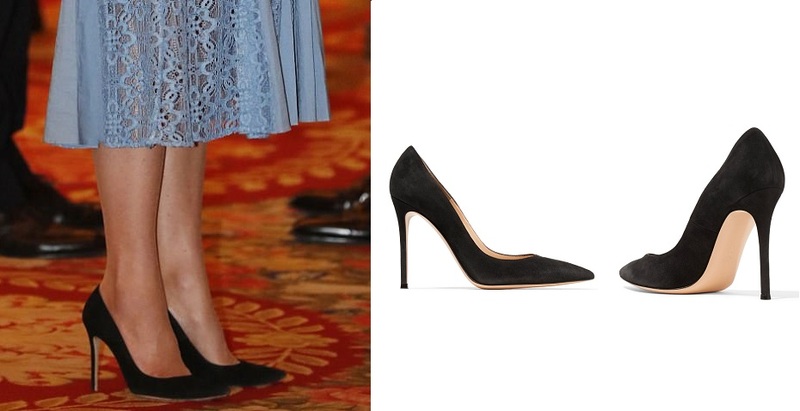 Kate paired her dress with suede black pumps from her go-to label Gianvito Rossi. £470 suede pumps are available on Net-a-Porter. 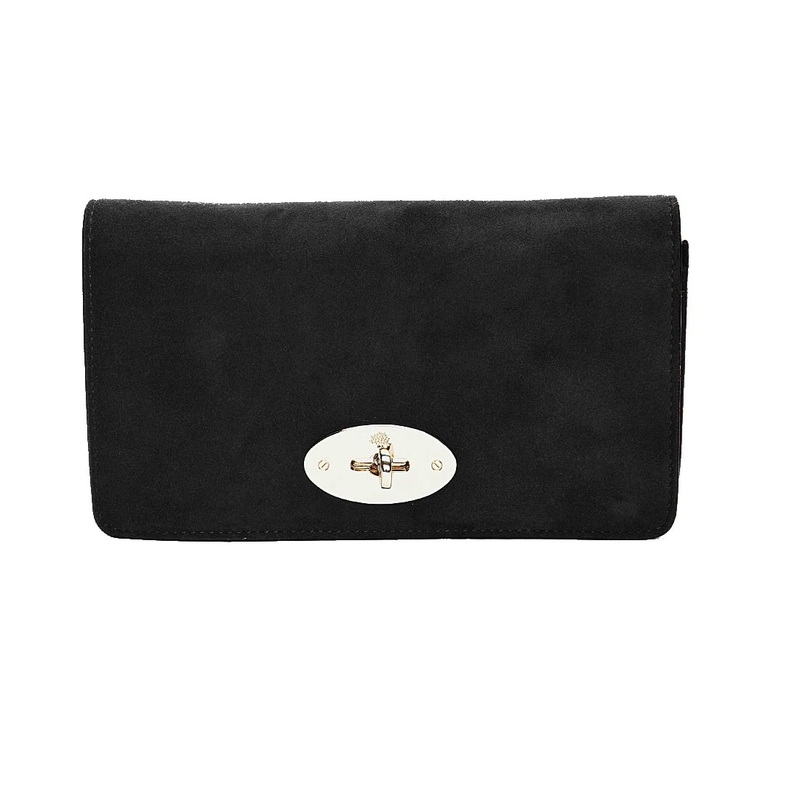 Duchess was seen carrying black Mulberry clutch. Kiki McDonough blue topaz and diamond drop earrings available for £2,916.67 in white gold earrings complemented the whole look. Royal fans were happy to see Duchess of Cambridge back to work. We hope and pray Duchess will have a healthy pregnancy ahead and we shall see her soon.